Pleats, please! 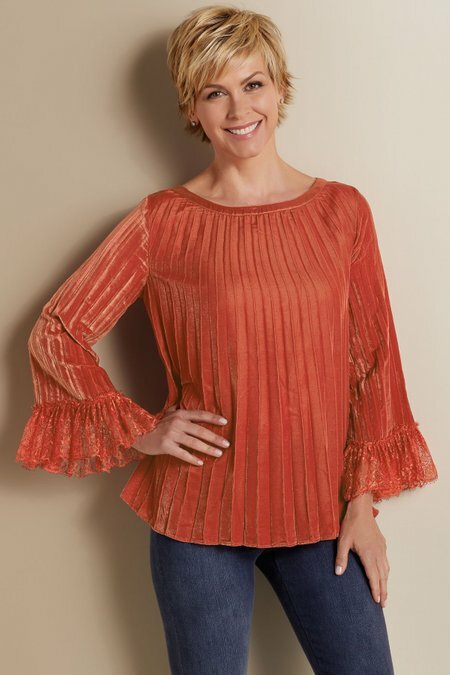 Generously cut with a loose, drapey silhouette, our pleated velvet top is beautifully appointed with a satin-trimmed boatneck and romantic, scalloped lace trim at the bracelet-length sleeves. A stunner for the holidays and well beyond, it can dress up or down as moment and mood take you. Polyester. Misses 27" long.